Retail’s familiarity with the important tech megatrends (Mobility, Social Media, Big Data, Cloud) means we perhaps risk forgetting why they remain so important. Our brand new report brings you up to date with how retailers are practically using these technologies today to drive their own digital transformation. 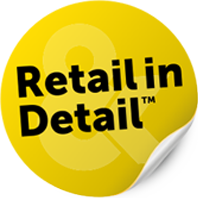 We’ve interviewed some of retail’s leading lights across various retail sub-sectors, and we’ve also consulted the cream of the most recent thought-leadership publications (over 50 sources), all to create a compelling and insightful report which gives you an un-biased and comprehensive picture of retail. We know you’ll find it inspiring. You can download it free today by entering your details below. "Innovation allows us to deliver a very high customer experience without spending a lot of money"
"The growth of omnichannel shopping has come faster than we thought it would – we’re looking at it accounting for 40% by 2020"
"By the end of 2016, 4.8 billion individuals globally will use a mobile phone"
"75% of our customers now shop across all three major channels: shops, online and mobile"
"More than 50% of our e-commerce traffic is now coming from mobile"
"Delivery can make or break an entire experience for customers, yet it’s the part of the supply chain retailers have the least control over"
Interested? Want to read the full report?